The Iowa Cubs and Central Iowa Mechanical are proud to pay tribute to our nation's and community's military service, law enforcement, firefighters, and first responders all season long at Principal Park in our "Salute to Service" program. Prior to the National Anthem, one local service woman or man, law enforcement member, firefighter, or first responder will be recognized on the field. Nominate your service woman or man, law enforcement member, firefighter, or first responder by completing the application by following the link below. 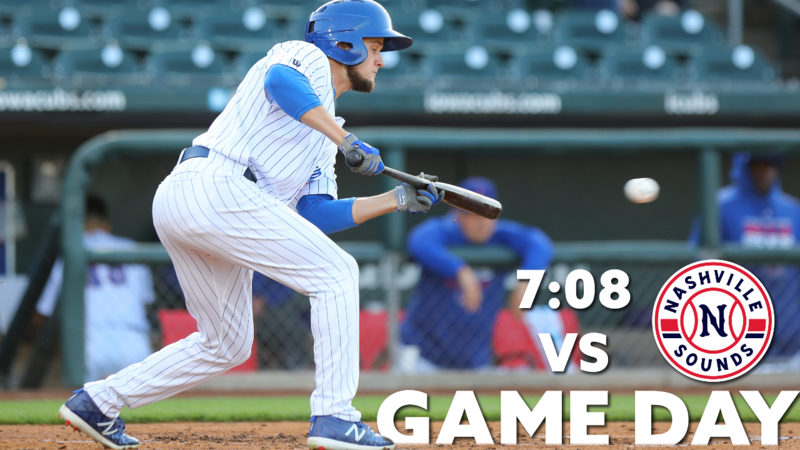 Never miss a thing -- get Iowa Cubs news sent straight to your inbox! Get the lastest on upcoming games, promotions and ballpark events. The I-Cubs team up with Susan G. Komen Greater Iowa to promote breast cancer awareness and celebrate survivors, who will be recognized before and during the game. Cubs players will wear special pink jerseys with the Komen Greater Iowa logo on the sleeve. Jerseys will be auctioned off during the game with all proceeds going to Susan G. Komen Greater Iowa. Have a winning bid and get the jersey on the field after the game. Visit the Susan G. Komen Greater Iowa Facebook page for a special ticket opportunity that includes a donation to their organization. The first 1,000 fans at the game will recieve a plastic collector's mason jar as we play our final game of 2018. 4/22 RHP Duane Underwood Jr.